Founded in 2011 and led by Drs. Keith Jerome and Hans-Peter Kiem at the Fred Hutchinson Cancer Research Center, the defeatHIV Martin Delaney Collaboratory is a consortium of scientific investigators and clinicians from both public and private research organizations who are committed to finding a cure for HIV. We are supported through a program sponsored by the National Institutes of Health and the National Institute of Allergy and Infectious Disease in honor of AIDS activist Martin Delaney. The Martin Delaney Collaboratory program focuses on providing support for HIV research strategies that are curative and fosters partnerships between public and private research organizations. 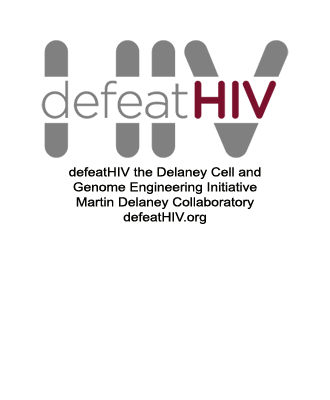 defeatHIV is one of six funded Martin Delaney Collaboratories (2016-2021). As a Martin Delaney Collaboratory program, we are inspired to re-examine existing approaches in the fight against HIV/AIDS and to focus our energies on developing innovative and novel strategies to abrogate the spread of this debilitating disease. Our core technologies utilize the latest cell and gene therapy approaches to eliminate latently-infected cells after viral reactivation, and improve the body's ability to control unpredictable reactivation events from a therapeutically-reduced reservoir. It is our mission to leverage the knowledge, expertise and resources of the Collaboratory to generate a realistic and promising pathway toward an HIV cure. Fred Hutchinson Cancer Research Center was established in 1975 and is one of the world’s leading cancer research institutes. Its interdisciplinary teams of scientists conduct research throughout the world to advance the prevention, early detection and treatment of cancer and other diseases. 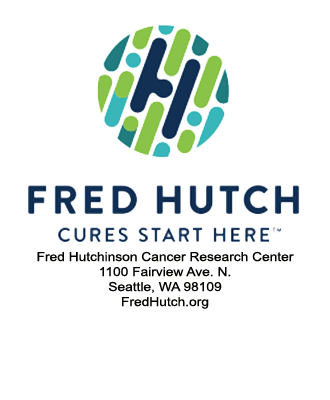 Fred Hutch's mission is the elimination of cancer and related diseases as causes of human suffering and death. Fred Hutch researchers pioneered bone-marrow transplantation for leukemia and other blood diseases. This research has cured thousands of patients worldwide and has boosted survival rates for certain forms of leukemia from zero to as high as 85 percent. Recognizing that infectious agents contribute to up to a quarter of the world’s cancers, Fred Hutch researchers also study infectious diseases, including HIV- and AIDS-related malignancies. Fred Hutch’s internationally acclaimed scientists include three Nobel Laureates, a MacArthur fellow, members of the National Academy of Sciences, members of the Institute of Medicine, members of the American Academy of Arts and Sciences, members of the American Association for the Advancement of Science and current and former Howard Hughes Medical Institute investigators. Fred Hutch occupies spectacular, modern facilities on the 15-acre Robert W. Day Campus. The campus overlooks South Lake Union, Seattle's downtown lakefront neighborhood, which is emerging as Seattle's hub for life sciences research organizations. Campus labs and offices occupy about 1.5 million square feet, supporting more than 2,700 faculty and staff members who are working to eliminate cancer, HIV and other related diseases. 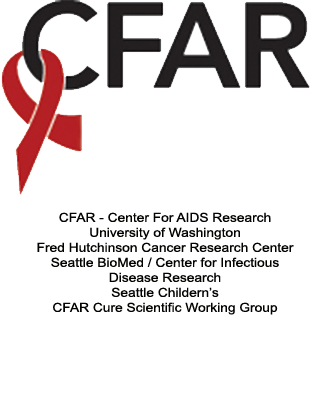 The mission of the Curative Therapies for HIV (Cure) Scientific Working Group is to accelerate work toward a cure for HIV, fostering new ideas and promoting new technologies. To achieve our mission the Cure SWG continues to bring together UW/Fred Hutch CFAR affiliated researchers, unaffiliated external HIV researchers and community members in order to develop critical local expertise and enhance areas of local strength.Collaboration is essential to our mission, and by working with researchers and community members of broad experience and from diverse backgrounds, we hope to serve and an internationally-recognized center for the study of curative therapies for HIV. 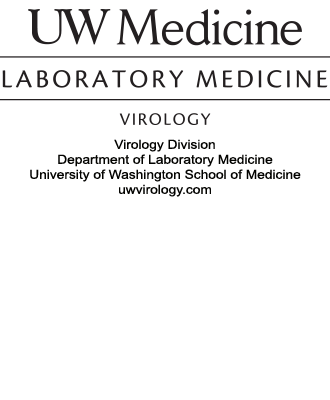 The University of Washington Virology Division is one of twelve divisions that comprise the Department of Laboratory Medicine in the University’s School of Medicine. The Virology Division’s eleven faculty members and over 100 staff are actively engaged in the Department's three-fold mission of clinical service, education, and research. As part of the School of Medicine, educational opportunities are available for undergraduate and graduate students, as well as post-doctoral trainees within the Virology Division. UW Medicine teaching programs are consistently ranked among the best in the country in rankings by U.S. News & World Report. An environment conducive to the performance of high quality research and development is fostered within the Division. The faculty, staff, and trainees are involved in research and development activities that include developing cutting edge laboratory tests, creating new vaccines, inventing and patenting new technology, and elucidating basic cellular processes in health and disease. The Division’s faculty are internationally recognized for their clinical and basic science research. To learn more about UW Virology, visit uwvirology.org.